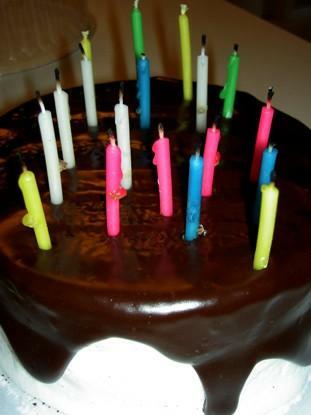 Every weekend, children eagerly take deep breaths, blow out the candles on their cakes, and make their birthday wishes. Then they wait in breathless excitement for those wishes to come true. This year, make your children's dreams come true before they blow out the candles! While you probably can't really give your daughter a pony or turn your son into a superhero, you can come close. Many young children dream of owning a pony. While it might not be possible for you to own a horse in your neighborhood, you can still fulfill part of your child's horse birthday wishes. Many facilities offering horse-riding lessons also host birthday parties. Party packages will usually include pony rides for all of the guests and other ranch-related fun. Some malls, zoos, and amusement parks feature realistic-looking carousels. Many of these offer carousel birthday packages. Even if they don't offer packages, a birthday trip to a carousel is sure to please a young horse lover. Many companies have mobile petting zoos -- they bring the animals and the party to you! If there are no mobile petting zoos in your area, many zoos offer birthday party packages at their facility. As petting zoos usually include miniature ponies, this is the ideal birthday party for a horse lover. Many children, both boys and girls, are fascinated by all forms of transportation. If your birthday child's fondest wish is to own a car, there are several things you can do to grant that wish. If there is a go-cart facility in your area, make that your birthday party location. Most party packages include go-cart rides, video game tokens, food, and beverages. Be sure to check the age recommendations of all automobile gifts. Even if your young child is big for her age, she may not have the coordination and dexterity necessary to operate a toy meant for older kids. Many young kids look up to superstar athletes and aspire to be just like them. While you can't guarantee your children will be the next Michael Jordan or Mia Hamm, you can let them participate in sports. So, your child aspires to be Super-Man, Spider-Man, Bat-Girl, or Kim Possible. You can't help her defy gravity, but you can give her a magical birthday. Each of these themes offers an abundance of ready-made party invitations, decorations, cakes, and favors. For a fun twist, have each child come to the party dressed as her own favorite superhero. Then have superhero karaoke and sports. Entertainment for a superhero party can include a magic show, parachute play, and an inflatable castle or house. By using a bit of creativity, you can make any birthday wish come true for the day. Just think about your child's wildest wish and look for unique ways to make it a reality.